Dr. Elie F. Harouche is a graduate of the University of Paris School of Medicine in France. After obtaining his M.D., he performed his General Surgery Residency at Lenox Hill Hospital in New York City. It is at New York University Medical Center that he completed Otolaryngology (Head and Neck) Surgery Residency. He obtained his Plastic Surgery Residency training, including a fellowship in Microsurgery and Surgery of the Hand, at the Eastern Virginia Graduate School of Medicine. Dr. Harouche has maintained privileges at the most prestigious hospitals in Manhattan and Long Island; Lenox Hill Hospital and Manhattan Eye, Ear, and Throat Hospital. He also has privileges at North Shore University Hospitals in Syosset and Plainview, as well as Huntington Hospital in New York. Presently, Dr. Harouche also maintains privileges at Plantation General Hospital. Dr. Harouche has authored multiple articles and presented numerous lectures in the areas of Plastic Surgery as well as Ear, Nose, and Throat Surgery. He has previously taught and trained Plastic Surgery Techniques to other physicians at Lenox Hill Hospital. 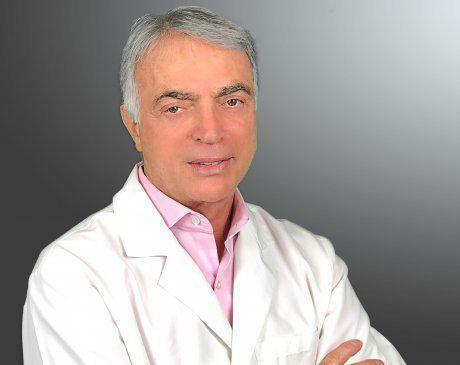 He also previously served as Chief of Facial Plastic and Reconstructive Surgery at Lenox Hill Hospital. The Consumer Research Council of America lists Dr. Harouche as one of “America’s Top Surgeons” and “Top Physicians”. He is a Fellow of the American College of Surgeons (FACS) and a member of the American Society of Plastic Surgeons (ASPS).